Flower balls aren't difficult - just a little time consuming. 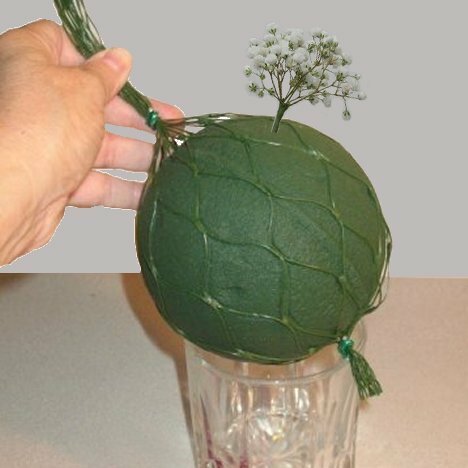 It will take more flowers than you think to make hanging spheres. 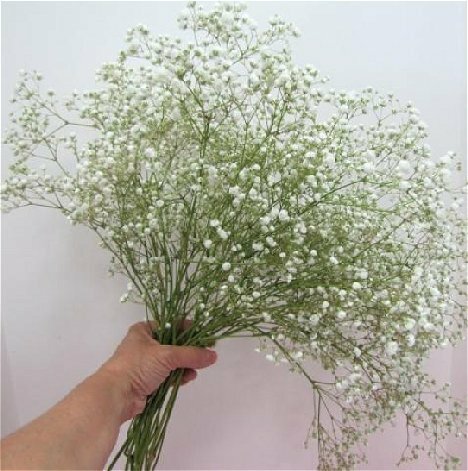 Easy flower tip - it takes a lot of gypsophila to cover a sphere. 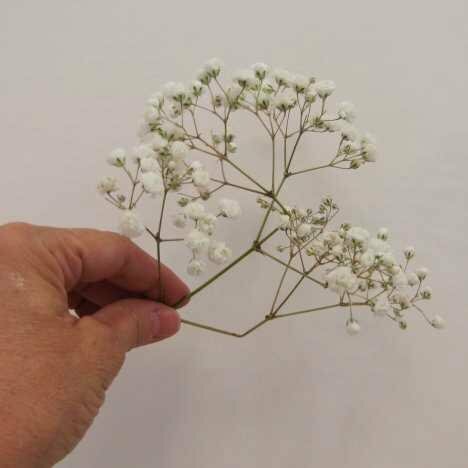 If you paint it white first using special florist paint (designed to hold on wet surfaces) it will cover easier. Choose the sphere size carefully. 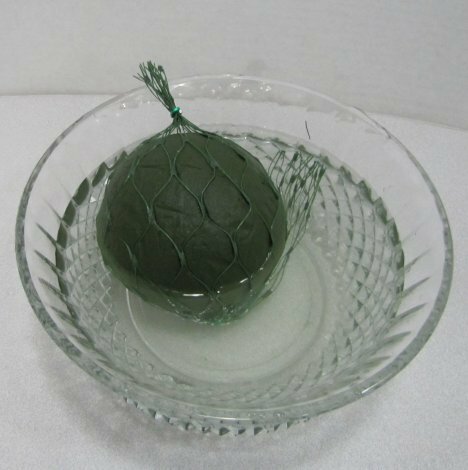 If you are planning on someone carrying this pomander, use the smallest ball available, as it is heavier that you think once saturated with water. 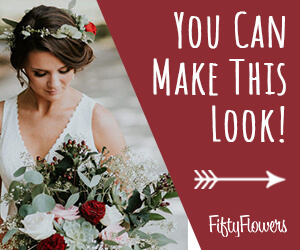 If you want a larger flower sphere, simply lengthen the stems and use more flowers. Oasis spheres need to be supported so the foam doesn't disintegrate. 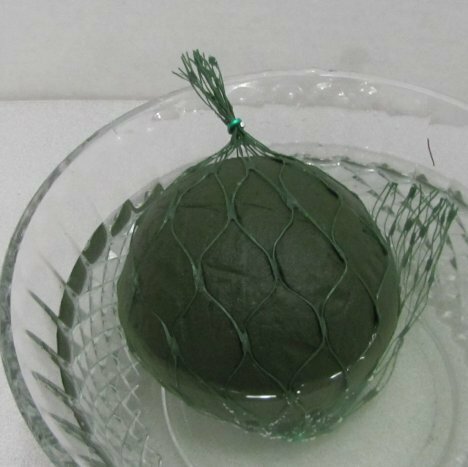 Florists used to tape the ball with waterproof tape before designing. Oasis netted balls has solved that problem and the foam doesn't need to be prepped like this anymore. The netted weave is very strong and there are no issues of crumbling. 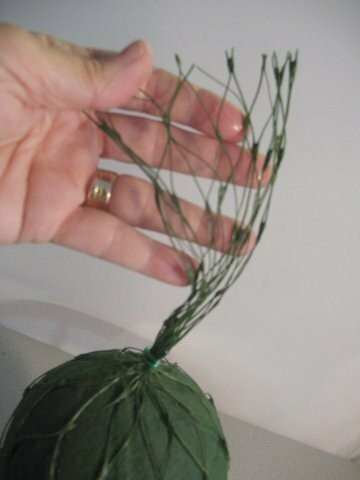 The flower stems are inserted between the netting and it gets stronger as the stems are criss crossed in the center of the foam ball. Support your ball on a glass as you flower in the design. 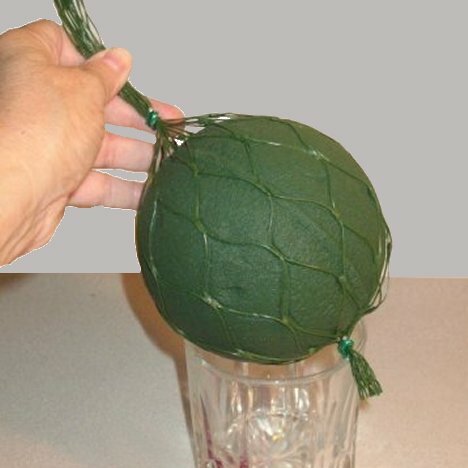 You can snip off the excess netting once your handle is in place. Leave it on for now in case you need to hang to pomander to finish the last of the flower insertions. Allow your gypsolia to rest in the water long enough to open those tiny blooms. 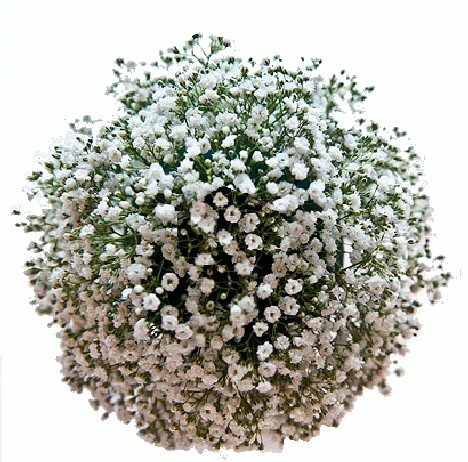 Open blooms with make a nice, dense baby's breath ball that conceals the foam. 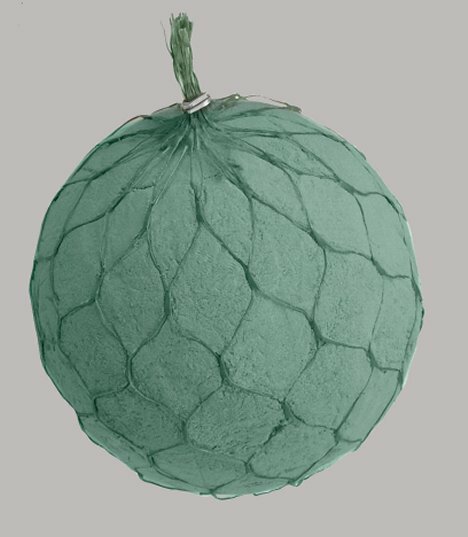 Insert cluster of the flower all around the pomander sphere. It takes a bit of patience to cover the entire ball, so allow yourself plenty of time.